how do I tell my coworkers that I have incurable cancer and it’s progressing? I’m a 59-year-old professional woman with Stage 4, metastatic breast cancer; my original disease was diagnosed and treated in 1996, but multiple metastases emerged and were officially diagnosed in 2007. I received a very aggressive course of chemotherapy at that time, achieved symptomatic remission, and have continued on maintenance therapy ever since, with occasional ups and downs. I have been continuously employed during this period, with full-time, exempt, home-based positions in my industry. The 2007 chemotherapy resulted in a permanent hair loss of about 90%, but otherwise, my appearance is healthy: I’ve interviewed for, and secured, 2 new jobs since then. I love my current job, where I’ve been for more than 3 years, and have several colleagues whom I work closely with, but have never met in person, as most of us are remote. I’ve told a very few co-workers about my situation, over the years, but given the flux in the company (normal for this industry), I am not even sure if any of my currently closest colleagues know. And normally, they really don’t have to—I manage my treatments and other medical procedures within a flexible full-time work schedule, with only one period where I took significant time off from this job (3 weeks) due to my disease. At this point, I believe that only HR has the full story. I present as an energetic, very productive employee; people who know me and subsequently learn of my medical situation are invariably surprised. But now, I have found that after 7 years in remission, my disease is progressing significantly: I have 2 new tumors and increased activity in old ones. This is a very bad prospect, and at the least, I will have to start a much more aggressive treatment program, which is likely to have side effects that will be painful and disruptive. And this progression could continue, despite additional treatment; it could prove fatal. Because this new source of chemotherapy is likely to impact my ability to work, within the next few months, I feel obliged to inform my supervisor and colleagues, so that we can plan for coverage (I am the only permanent employee in my role). Still, I really can’t be certain how impaired I might become, and any changes will probably be gradually increasing over time, rather than sudden. Of course, the worst-case scenario is that this is the beginning of the final battle, and I will become incapacitated, and eventually, die. How in the world can I do the right thing by my colleagues and my company—balancing the uncertainty of this disease flare/treatment against our business needs and planning—when most or all of them are unaware that I even have a problem? My direct supervisor is in a high administrative role, and we communicate rarely and via email only; I’ve never talked by phone with him, much less met him. My previous supervisor knew, but he left the company earlier this year. I am much closer to certain project managers, who would be the most affected by my disability, and I’m more inclined to start with them. Also, the majority of us are remote. HR of course would say that I don’t need to tell anybody until I actually need time off (I know this is a protected condition), but as a professional and dedicated team member, this just seems wrong to me. And even as a social matter, it’s awkward to bring up out of the blue. At least when people meet me personally, there are hints in my appearance that make it easier to introduce an explanation, but when we only know each other from teleconferences and email, there’s no warning that I have a Dread Disease. What’s your opinion about whether, when, and how I should communicate this news to my colleagues? Where business protocol is concerned, I feel I have little to go on—as a data point, I’m what we call an “outlier.” What are the rules? Help! I’m so sorry you’re dealing with this. People will probably have questions, and you can share as much or as little as you want. But this initial language will convey the most important parts for them to know. And I think it’s fine to start with the project managers who you’re closer to if you’d like to, but I’d tell your manager soon after that so that he hears it directly from you rather than through the grapevine. Since you generally communicate with him by email, it’s fine to do this by email too — but if you’d rather do it over the phone, there’s nothing wrong with that either. Go with whatever you’re most comfortable with. It’s entirely reasonable to make this about what’s most comfortable for you and trust that others will be okay with that. And I’m sending you many good thoughts from here, and I’d bet you have the good wishes of thousands of readers heading your way today as well. update: how do I tell my coworkers that I have incurable cancer? update: how do I tell my coworkers that I have incurable cancer and it’s progressing? Sending you positive vibes. You are a brave, brave person. As Alison said, very sorry you are going through this and good throughts coming your way. No advice here, just a comment that I am in jaw-dropping awe of your dedication. Your workplace is lucky to have you, and I wish I worked with people half as dedicated and concerned. +1, I am amazed by your dedication to your role while dealing with something so difficult. I worked at Dana-Farber in Boston for years with breast cancer patients for clinical studies and I am rooting for you. Best of luck, OP. Warm thoughts to the OP at this difficult time. Completely agree with the comments above. Sending good thought your way. Hope it goes brilliantly. OP, best wishes from me. I really like Alison’ wording. I think telling co-workers will go ok for you. You have an incredibly inspiring spirit. Good thoughts and prayers to you. Do whatever it is that makes you the most comfortable in this situation and release any possible guilt you might feel over telling your co-workers. You deserve to be as stress free as possible. Best wishes! Letter writer, you are such a brave and strong person. Sending you many, many good thoughts. OP, I am truly sorry that you are going through this. I think your courage and grace come shining through. Allison’s comments are spot on. Wishing you the very best. +1 I couldn’t say anything better than this. Sending you many good thoughts & prayers. +1 My thoughts and prayers are with you. Best wishes to you, OP. Your attitude is extraordinary. What you do should depend on YOUR level of comfort. If you’re comfortable telling people individually, go for it. If you’re not, I think you can still put this in your direct manager’s lap, even though you’re not in contact with him often — however you feel most comfortable doing it, you can let him know what the situation is and that you would like help communicating it to the rest of your team. I don’t think any compassionate human being wouldn’t be willing to be the one who breaks the news instead of you, if that’s how you prefer to handle it. Your manager can also let other team members know what your preferences are for communication — “please don’t ask OP about the treatments,” “OP will not be reachable on alternate Thursdays,” whatever. Again, best wishes to you. I’m sorry you’re going through this, OP. OP, I wish you all the best in powering on and beating those odds. Great suggestions, along with Alison’s–thanks so much! OP–best of luck with your treatment. I hope you get those extra years! I wanted to comment on just that. Thinking about the unsolicited advice and cancer horror stories you might be getting gives me the shivers. Also, I’ve never heard the phrase, “I’m on velvet!” Can someone please explain? Yes, I had a lot of that the last time around–“Have you tried X?” and even “Why not? Don’t you want to get well?” Amazing what some folks think is an appropriate response! But fortunately, most people are wonderful–like here! To me “on velvet” means something like “sitting pretty”–already doing better than expected. Now that I recall I think I picked it up from the 1937 movie Lost Horizon…. Here’s hoping you stay in Shangri La for many, many more years. Sending wishes of health and strength your way. I might suggest emailing your supervisor first. I think it would be totally reasonable to say “I have something I would like to tell you, and I’m doing it by email so that I can make sure I address everything I need to say without either of our emotions getting involved. Please know that we can have a phone/skype/whatever conversation later (maybe even say ‘next week’ or ‘around Sept 5th’ or something) if you would like.” And then spell out what you want her to know. I do agree with Alison that you should make this process about you and what makes you most comfortable. All my best wishes and positive thoughts for you! This is a cool idea, too–thanks much! This is a very good idea. When my husband first got sick, we initially thought he would take a few weeks and go back to work. It started with he called his boss to say he was taking a sick day. Then he called again to say he was taking a week. It was not deliberate, but the boss ended up being the one who kept everyone in the loop. This actually worked really well. We did not need to explain what was going on 15 times. Say it once and let the boss pass the word to others. You probably all ready know this but it’s worth repeating- give people an idea of what is okay and what is not okay as you go along. Emailing was okay with my husband. Later, phoning was better. The boss can pass this along, too. OP, sending you good vibes. You deserve as stress-free working environment as possible, and your manager and coworkers can help with that. My suggestion is to schedule either a conference call with your project managers, or send a single email to them at the same time. That way you can manage your message. If you tell folks one-by-one, you may wear yourself down emotionally. I also recommend letting your manager know first. 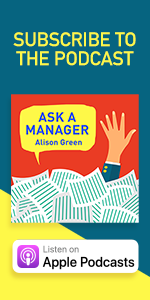 Your manager may already know (HR? prior manager? ), but I think from a “future smoothness” perspective, it’s a courtesy to let your manager know first. First, my condolences. I’m sorry you have to go through this. Your concern about your work and colleagues is touching, when you have every right to be selfish. I went through something similiar as a manager a few years back, when one of my employees had ALS (side note: the ice bucket challenge isn’t just so you can put a funny video up on Facebook to amuse your friends; please use the opportunity to learn about the disease and make a donation if you can). My story didn’t end well. I received the news from the employee and was at his funeral 13 months later. What he did: he told a select few. He then asked me to tell others because he wasn’t up for it emotionally. He also said that he wanted to work until his time came. What I did: I worked with my boss and HR to craft a specific announcement. On a more personal note, I asked some people one on one to take it easy on the condolences. He wasn’t handling people feeling sorry for him well. He felt like he was letting people down. We tried our hardest to treat him normally. How it actually impacted all of us: it was not long before he was pretty incapacitated and wasn’t able to provide a lot of value at work. Within 2 months, he was bed bound. Within 4 months, he lost the ability to type. Within 6 months, he no longer spoke. I was in contact with his wife who refused to allow him to go on a FLMA leave (there was drama there that I didn’t want to get in on). So I kept him on the payroll. We did everything we could to include him on team meetings, send little joke emails his way, anything that kept him as part of the team. He finally went on leave about 6 weeks before the end. I know this may not be helpful to you, but by him looping me in, I went out of my way to protect his position since working brought him purpose. If he hadn’t told me, I wouldn’t have been able to go to my boss and set expectations that the workload on the team may be impacted. He wouldn’t have been able to carve out some funding to bring in a temp to help the rest of the team when things got really bad. In the end, you need to communicate this in a way that is comfortable to you. I wish you the best in your treatment and hope to see you posting here again in another 7 years! For someone with the name “GrumpyBoss” it sounds like you treated this employee with an enormous amount of compassion. Grumpyboss, I wish I worked for someone like you. You sound awesome. I realize this is off-topic from our original letter writer, and I’ll comment separately there. Regarding your comment about the ALS ice bucket challenge – I wanted to share that at first I thought “How dumb. This doesn’t raise money if people just dump water on themselves. It’s doesn’t raise awareness, it’s just stupid.” Then after I saw enough of them, I googled ALS and learned so much. It proved me wrong, because the ice bucket challenge did EXACTLY that – it increased my own awareness of this horrible disease. Total sidebar, but I just wanted to add that. Add me to the team against ALS. Glad you looked into it! To be honest, I didn’t know anything about ALS until I faced someone with it up close and personal, and it is horrible. I think the ice bucket thing is great! As long as people don’t lose sight of what it is about. A coworker that I work closely with was diagnosed with cancer a few years back. She used a variation of what Alison said with those she worked with on a regular basis and then gave us all permission to share a predetermined amount of information with others who asked why she was out/unavailable. Although she did share additional details with some of us, knowing what she was comfortable with us sharing on a more public level was very helpful. We handled the treatment on a “how you’re feeling” basis. After a few treatments, she figured out her comfort zones and worked around them (we offered leave, but she preferred to have something else to focus on). As she went, we just reevaluated and adjusted. Hopefully your company can do the same, because it worked out really well for everyone involved. My best wishes and thoughts are with you! I can’t add anything to the work advice, but I want you to know that you sound like an amazing person and I’m hoping for the very best for you with your next round of treatments. I hope your disclosure goes smoothly and that everyone is wonderful to you. Positive thoughts to you OP. I don’t even know you and I feel your sense of warmth, dedication, and compassion for others. Since your co-workers do, I imagine they will offer nothing back but the same grace and compassion you project. OP, sending you all the hugs. I hope people are kind, and your co-workers can really surprise you. I’m dealing with a (far less serious!) medical issue and the outpouring of support from people has been incredible. We’re taught to hide our weaknesses and that it will be a burden on others, but I have had so many talks and gotten very close to people who were going through something similar to me, but didn’t dare tell a soul. I like to believe that people are kind and good if you give them the opportunity to be. Even people here have been truly amazing. I wish you the best. Thank you, you really nailed it about the impulse to always present a strong appearance to the world. I’ve definitely been caught up in that and it’s hard to change–but definitely it’s time to trust people. Sometimes asking is the most difficult thing we can do…. I totally agree! When you have cancer and you’re still working hard to make sure you don’t affect the company, I think everyone is just going to be impressed by your strength and grace. Your sickness and strength are intertwined. Don’t be worried or stressed about hurting other people; I think anyone reasonable will be impressed with everything you’ve done so far, and happy with whatever you are able to share and accomplish. A coworker of my has a similar diagnoses. She has found being open with people has helped her as she gets a lot more support and good wishes than she had thought. On the constant barrage of people who will ask how you are doing, I have seen friends with a sick baby use sites like CaringBridge to “blog” about the situation, so that they don’t have to constantly retell the same stories. Best wishes to you as you enter this new round! I hope to have some spare time to print up a copy of your words in interesting typeface. Please forgive me in advance for adding the word “so” at the end of your sentence. Apparently I’ve never stopped being a proofreader/copy editor. Thank you for sharing. We’re all sending you warm, healing vibes. Best wishes! keep fighting! I am sending virtual positive healing vibes your way. Prayers to you and your family!!! Sending lots of positive thoughts your way OP. Please don’t despair of that retirement goal (although you sound pretty darned upbeat and determined, and go you!) -I have a close family member fight off metastatic bowel cancer and one relapse and currently considered to be in remission. It can happen. New treatments all the time and miracles every day. Here’s hoping for one for you. I am so sorry you are going through this and I am literally in awe of your attitude – to have courage and this kind of work ethic in the face of something that everyone would give a pass on not giving one thought to work or co-workers. You are an exceptional person and I am sending you all my best thoughts – I hope you surprise all the doctors and have the most well earned retirement ever. OP, my best wishes go out to you, and I wish I worked with you. You sound awesome. OP, I think it is incredibly considerate and selfless of you that you’re worried about ‘doing the right thing’ by your company and colleagues. All I can say is that I wish you the very best! Best wishes, OP. We are all pulling for you—here’s hoping you have another remission and a happy retirement. As a young woman also dealing with breast cancer (both mine and my mother’s) this hits close to home. I have no practical advice but lots of good wishes and thoughts for you. No advice for OP, or for you, Amanda, since you weren’t asking–just sending lots of positive wishes for healing to all three of you. Can’t really add anything to the already excellent advice from Alison and the commenters. Just wanted to send you positive thoughts and healing hugs. Definitely sending you healing vibes. So sorry. May the best come your way every day, OP. Personally, I am sending you a (virtual) large bolt of velvet fabric so you are always sitting on velvet. Sending you lots of positive vibes! OP, my thoughts go out to you… and I second the f cancer. OP, I lost my sister to breast cancer this June about a year after she was diagnosed (Stage 3, triple-negative, it was grim from the get-go). I am SOOO glad you have gotten so many years and I’m really hoping you get many, many more. You are being such a grown-up about this whole thing – your coworkers are lucky to have you and your friends and family are too. Have no advice, but my best wishes are with you. Agree with Chantal….wretched disease. So many of my family and friends have been affected by it. All the best to you! From your letter, it seems that you have a very strong and positive spirit. It will get you through these tough times. 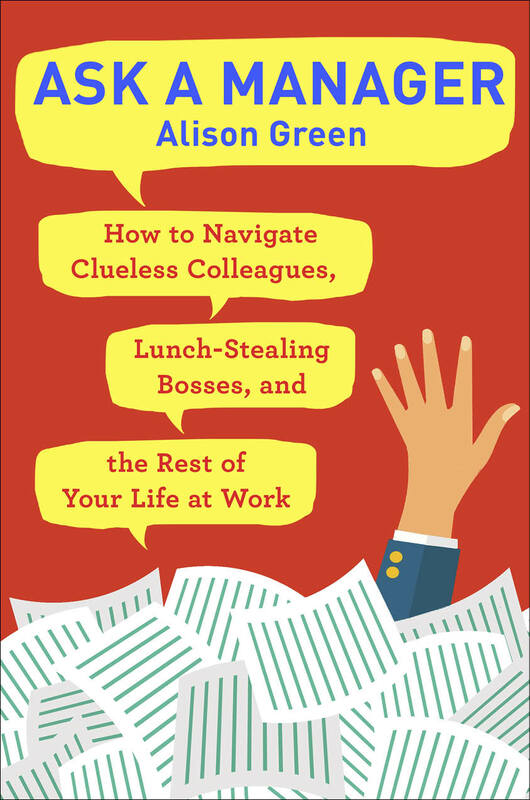 As Alison said, telling your colleagues shouldn’t be another source of stress. Just tell them in a way that is simple and natural. I wish you all the best. OP, I too have stage 4 breast cancer, and I am inspired by your story. (I was diagnosed earlier this year, and so far, it’s just in my bones.) I wish you what I wish for myself – many, many more years of keeping the disease under control. Things are a bit different for me, because my own cancer story is very well publicised (try Googling “Emma Turner sheep” to find out what happened! ), and also because I am self-employed. But one thing I did when I worked in an office (during my first bout of the cancer, in 2010) was to designate one of my close friends as the gatekeeper and general giver-out-of-information. That way, I wasn’t getting constant enquiries as to how I was doing, and my friend could manage the news and the reactions to it. It was a relief to not have to manage that myself. I think that, in a way, you didn’t need to tell anyone you had mets before this because you weren’t actually ill. You might still have had those mets, but you were, to all intents and purposes, operating normally. So your previous history of disease is irrelevant, and you can just tell people the bare minimum, that you’ve got a diagnosis and you need treatment. They don’t need to know that you and breast cancer have got a long history! Some of the ideas of how to tell your colleagues which have been suggested here are brilliant. I am sending you so many good, healing vibes right now, along with all the lovely commenters here. I hope your chemo works, and gets you to your retirement so you can enjoy it for a good long time! You are doing so well already. Keep on keeping on, OP, and I will do the same, and we’ll be here for a while yet. Bless you and best wishes in your journey. With any luck it’ll be a longer one than anyone would have expected–I have seen new treatments appear just in the time I’ve been dealing with this. More and more women are living with this disease as a chronic rather than terminal condition. Let’s hope for the best! We’re still here, and still surviving, and I have every hope that you will make it to an enjoyable retirement. You’re right about the new treatment – I am benefitting enormously from a new drug which is having an amazing effect on me. Running my own business is fairly exacting when I don’t feel 100%, but I am much more able to do it than I was 3 months ago. I hope your new treatment gives that cancer of yours a good slap and sends it back to sleep again. I am sending you love, and strength, and good wishes. If there’s ever a time to focus on your own needs rather than your employer’s needs, this is the time. 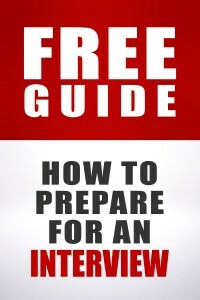 They will understand – and, well, you owe it to yourself to do what you need to do. Just wanted to wish you all the best in the coming months. You are brave and you are strong and you have all of us readers here sending you our hopes that you overcome this. I’m sorry to hear about your disease progression. Stupid cancer. I’m currently in round 4 of my battle with that wretched illness. It will be my final round as I have a terminal diagnosis. I’ve also worked throughout since the diagnosis – though I typically take 2 months off every year for treatment / recuperation / pain / general cancer crap. At some jobs, my cancer diagnosis was out in the open and at others I was more reserved about discussing it. The differences were largely due to the other personalities involved and also practicalities (going to work bald and wearing a mask tends to give people a clue as to what’s going on). As far as telling people in my most recent jobs, I have not openly discussed the terminal diagnosis with anyone at work except a couple of interview panels prior to my getting the job. [Where do you see yourself in the next five years? “Dead, actually.”] My supervisors know that I have cancer and am in treatment. Most of my colleagues know that I have a chronic illness that means I occasionally work from home and am sometimes off work. I have a few work friends that know more details and the rest of the staff is aware of who those people are and that they can get updates on me from them. When I was first talking with my supervisors and work friends, I told them exactly what information I was comfortable being shared with others. I also asked if they were comfortable with me using them as information hubs for me (they all were). I also told them to explain that I was a private person around my health and I preferred to be treated as normally as possible. My other colleagues have responded well to having clear direction from “the patient” and having a source of information to go to that isn’t me. AAM’s script is good because it is simple, to-the-point and gets the necessary information across. Right now, I’m stable. I work 4 days a week – sometimes from home. I take large chunks of time off for treatment every year. My supervisors tell me that I do good work and am a valuable member of the organization. All the best to you OP. Thanks for sharing this, Anonymous. Such strength and dedication. Best wishes to you. Wow, that is an amazing story–and although I am VERY sorry that you’ve has such an awful journey, it is really, really helpful to me to learn of people who have dealt with this, continued to work as best they could, AND been acknowledged by their employer as worthwhile rather than a burden. I LOVE the story of your interview–I remember that 5-year question from past interviews, but fortunately I didn’t get asked it after this mess started. You ROCKED it though!!!! Again, kudos to places that hire someone with a known expensive disease…I’ve even had guilt about driving up the cost of health insurance at my place…definitely time to let THAT one go! Take care and very best wishes…. The cancer, it sucketh most mightily. But we are still here, and still soldiering on. All power and strength to you, and to the OP, and to all of us who deal with it. You are a courageous, immensely inspiring woman. Thank you for touching the lives of AAM readers. Wishing you peace. Wishing you all the good vibes, OP. I am very sorry. OP here, finally off work after a very busy day (and yay for that!). Alison’s point that I can just start the whole thing from here and now, rather than worrying about giving everyone the back story, makes a huge amount of sense. Slicing through the Gordian Knot, as usual! And others of you have furnished some additional excellent suggestions that I will be thinking about. I really have a lot to go on here. Finally, I am a long-time lurker and really appreciate the classiness of the commentariat here–but I wasn’t prepared for the wonderful messages of support! Thank you all so much!!! I’m a long-time reader but first-time commenter who just wanted to chime in with best wishes, hope, and hugs for you. After seeing family and friends struggle I know how awful cancer can be, and you sound like a phenomenally strong person. And I’ll echo the sentiment of others that what really matters here is your comfort level – tell your coworkers as much or as little as you want. It’s beyond considerate of you to even be thinking about how your condition affects them/work. Hello OP — I’m a late reader after work too, and just wanted to wish you all the best, and tell you how I admire your commitment and thoughtfulness at a time like this. I second or third those who have suggested allowing or appointing an updater/question answerer on your behalf. When my aunt was very ill for a long time, her daughter was the source of all the latest and the recipient of all the concern (and wacky treatment suggestions). It allowed my aunt not to get emotionally exhausted recapitulating her illness and treatment for everyone all the time. This also allowed us to treat her much more normally when we saw her, because the focus wasn’t on her illness — we could all move on and think and talk about other things. I am imagining you retiring, both in the literal and figurative sense, on a massive, glossy pile of purple velvet. Oh, OP. My heart goes out to you, and I am so impressed with what you’re managing to do. Best of luck, and my thoughts will be with you. God bless you my dear. You are in my wishes and prayers. Look into essiac formula if you havent already. I just have a feeling it may assist with this next round of treatment. Read about how the four ingredients work on cancer and cleaning the blood. Can’t hurt and with all of our prayers to go along with it and your amazing spirit I think you may have a shot at retirement. OP, best wishes to you. I’m so sorry that you have to go through this. I don’t want to come across as the clueless person offering advice here, but if you have not looked into immunotherapy drugs for cancer, they are currently being offered in clinical trials across the United States. The results seem to be good. Wishing you well. Self care is the most important area for you right now. I would highly recommend reading “Art of extreme self care” by Cheryl Richardson or anything by Louise Hay. These women have a powerful way of thinking. Positive vibes coming your way. Just to add one more voice to the chorus – you seem like an incredibly thoughtful, conscientious, and truly strong person, and I’m so sorry that you have to go through this. Focus on yourself right now if that’s what you need, but if you find a distraction helps you more then I hope your work is a truly fulfilling one. Wishing you the best – we’re all rooting for you. As with many others, I have no advice – but I admire your strength and I am thinking positive thoughts and hoping that you beat this round – and that your coworkers handle what you share in a way that is comfortable for you also. Yes I too offer no advice, but all my good wishes and hopes that you once again beat this back. Sending you many good vibes, OP. I lost both my beloved husband to cancer in 2002, and my best friend of 32 years to cancer a year ago. Like those two, you are a tower of incredible strength, so much that I’m in awe to witness such courage. My husband was fired the day after his terminal diagnosis for “not returning to work after his doctor appt.” As if he wanted to run back to work, after hearing such news? My GF returned to work after a year off for her surgery, chemo and radiation. She went back and worked 4 years, until it returned. This round she stopped working completely. She spent most her time on her houseboat at Lake Shasta, with her husband, family and her dogs. Please consider something….this may be your last time…should you spend it working and worrying what your co-workers think? Please consider stopping work and doing something you always wanted to do. Please do what you want, before you can’t. Give your knowledge on video for your co-workers. One time, one speech. Then don’t think about work…..think about beauty, nature, peace, tropical islands, turquoise water, soft breezes, fragrant flowers and warm sun on your face…whatever you have always wanted to do in your lifetime and haven’t. Where you have always wanted to go…and haven’t. Make what you have dreamed of your priority. Work will always be there. You have proven yourself and gone beyond the call. Your courage is inspirational…everyone knows it and sees it. Now is the time to live your dreams and soar above the heavens. Your co-workers will expect it. With all due respect, who are you to decide for the OP what’s best for her? I was diagnosed with breast cancer at the age of 31 two years ago, and I worked throughout chemotherapy and subsequent treatments. It’s mostly for financial reasons, but I also liked having an office to go to and talking about something other than my cancer for a change. Everyone’s personal circumstances are so different, and when I was undergoing treatments there was nothing more irritating than someone, sounding all well-intentioned, de facto telling me that I was “doing cancer wrong.” Her decision to continue working and my decision at that time to do the same thing don’t make your husband’s and your friend’s less valid, and vice versa. Everyone does what’s best for them, and they deserve respect instead of questioning of their decisions sugarcoated as some well-meaning advice. Agree, Prescilla. The OP asks how and when to communicate with colleagues and work … this person isn’t asking how to spend her final time in this world. Sometimes posters don’t focus on the question actually asked of us. I’m also sorry you’re dealing with this. Please don’t worry about the effects of your illness on others. This needs to be about you first. Your well-being (both mental and physical) should be the number one priority. I honestly wouldn’t worry about how it will effect your co-workers, because if they’re decent human beings they are going to be worried about you, and if they aren’t decent, they don’t deserve your stress or energy. Also, you may find that you want to retire sooner rather than later. After a long, hard battle, I recently lost a friend to ovarian cancer. Her last wishes were to spend time with her family. Due to a wonderful extended family of church and friends, she was able to make a few longstanding dreams come true (a weekend with her husband and young kids in the mountains, a trip with her extended family to Disneyland, and a weekend with her girlfriends in New York City). Don’t miss out on anything because of lack of energy or time. I’m sending wishes for many healthy and happy days ahead, and the fulfillment of all your dreams. I’m very sorry you’re dealing with this, sending you healing vibes. I don’t have any advice, except to echo what AAM said, to do what’s easiest and least stressful you, but I wanted to tell you that a stranger in Belfast is holding you in her prayers. I am so sorry about your diagnosis. I know there are some people for whom work is invigorating, and helps them stay alive, and if you’re one of them then please take AAM’s advice. But I also agree with the others above: your work and your coworkers should NOT be your priority right now. Your priority should be YOU. I hope this isn’t the end, but if it is, do you really want this job and your coworkers’ feelings about your diagnosis to be one of your last experiences? Is it feasible to go on disability? At the very least, if you have banked time, use it to travel. Don’t let your job use up what may not be, but could be, some of your last functional years. Peace to you. Very best wishes to you – sending good vibes to you and your loved ones! Sending the OP a warm wrap full of hugs, well wishes and strenght. Best wishes to you, OP, and I sincerely and mightily hope you will have time to enjoy that retirement. You have an amazing spirit, OP. Lots of good wishes, prayers and positive thoughts from me to you. Your courage in the face of all this is amazing. As someone who has also experienced cancer, you have my empathy. Please know you have many thinking of you now. OP, you amazed me with this post. You define toughness and it’s a trait I admire. I wish you continued defiance of statistics as a outlier. You are a star. Best wishes to you, OP. All the best to you OP… here’s to your treatment going well and you enjoying your retirement. I rarely comment, but couldn’t read this post without sending my very best wishes to the letter writer. I admire your strength and send positive thoughts your way! You are wonderfully caring of your colleagues and company to be worrying over this when there is SO much on your mind today. Being the colleague of an employee recently diagnosed with a cancer know for its aggression and low survival rates, I can tell you that the only thing your colleagues will feel when hearing your news is sadness and concern for you. The business will work things out as needed; you need to focus on you in this new stage of your battle . I like Alison’s suggested wording on how to begin this conversation. After this, take it as it comes, revealing details as they pertain to the work and business, as needed. You resilience is amazing and your concern for those around you extremely admirable in light of your own personal struggle. My best wishes to you. First of all, OP, sending prayers and positive thoughts your way. My sister-in-law died a few years ago from metastatic breast cancer, so I have some idea of what it’s like to have a diagnosis like that hanging over your head. I wish you a long, fulfilling life, and minimal side effects from your treatments. I wanted to clarify something that you are obviously well aware of, but that other commenters here may not realize. Before my SIL’s diagnosis, I didn’t fully appreciate what the word “incurable” meant. I had always viewed cancer as a binary thing. Either you get treated and it goes into remission, or you’re unable to stop it and it kills you. “Incurable” means that the cancer will always be with you, and there’s a good chance it will eventually be the cause of your death, but that could take a long time, and you can live a (semi-) normal life in the meantime. The focus of the treatments is on preventing the tumors from growing further, not ridding them from your body entirely. I think this is particularly important to understand in a workplace setting. It can be very easy to make well-intentioned comments that are nonetheless very hurtful. For example, assuming that because the person looks outwardly normal, she’s doing OK. Or asking them about whether they’re getting surgery to remove the tumors. When my SIL first received her diagnosis, she took time off from work to focus on her treatment. But eventually she decided that, since the treatments were minimally disruptive (she was on hormone therapy at the time), there was no reason for her to sit around the house all day. So she went back to work. The point is, when you have a friend, family member or coworker who has been given this terrible diagnosis, you need to balance the fact that their day-to-day lives may be simultaneously normal and the farthest thing from normal. Which is also why I endorse what others have said about the patient clarifying what’s helpful and what’s not, and what they feel comfortable discussing. And by the same token, you should not be afraid to ask the person yourself. Different people react very differently. (My SIL, for example, hated the word “brave”, as well as all of the various “fighting” metaphors people use to describe cancer treatment.) You need to be very attentive about what subjects/phrases engage them, and which cause them to disengage.